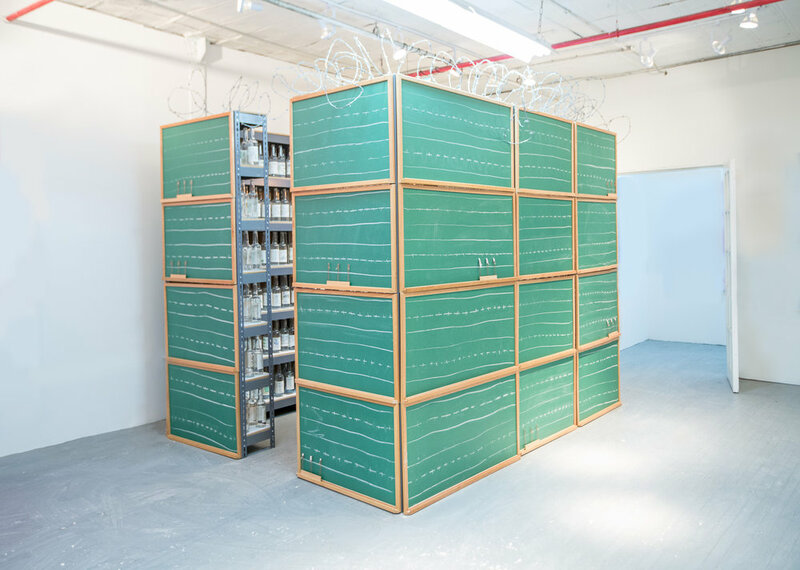 Hovnanian’s large-scale installation House of Empty Bottles features rows of shelves filled with hundreds of empty liquor bottles, walled with green chalkboards and chalk lines. 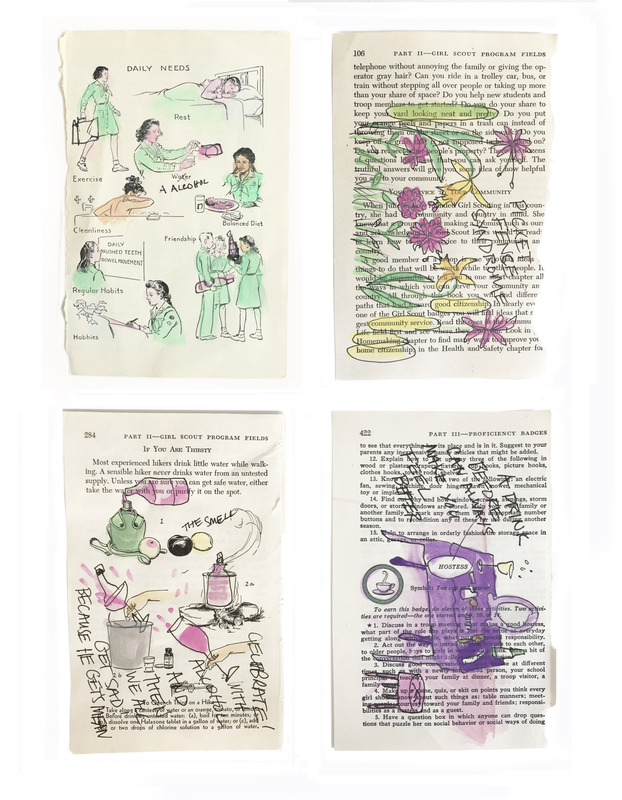 The bottles lining the racks are empty, but each one is wrapped with a page torn from the 1947 Girl Scout Handbook. 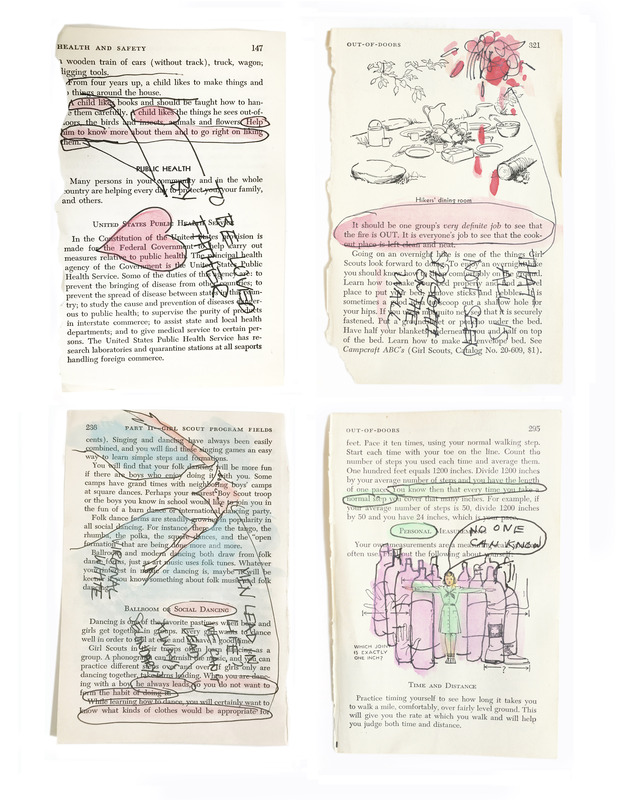 The pages become bottle labels; Hovnanian takes cues from the typed text to create her own counter-text, illustrated in watercolor and ink. 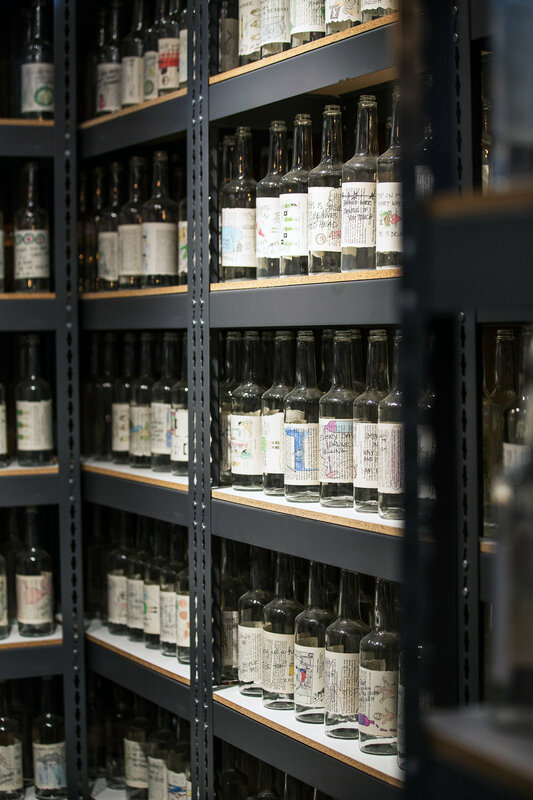 With this installation, the artist creates another kind of survival guide - a verbal and visual handbook that is only now recorded in the form of these liquor labels.